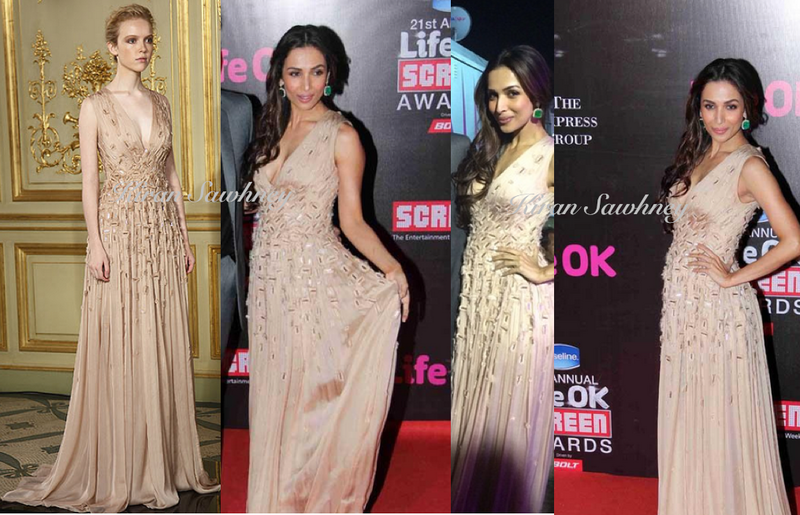 Malaika wore an embellished Ramialali gown. She teamed it with Farah Khan Ali earrings and Mahesh Notandas ring. She looked effortlessly gorgeous.